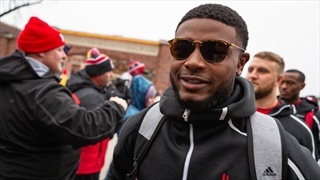 With Nebraska about to kick off against Michigan State for the last home game of the season, there are a few notes worth sharing ahead of the action. 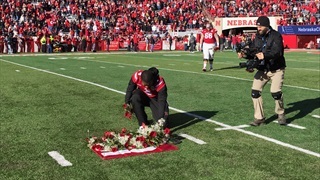 Nebraska and Michigan State coaches and specialists met at midfield prior to the Huskers-Spartans matchup on Saturday to honor the memory Nebraska punter Sam Foltz and Michigan State punter Mike Sadler with their families. 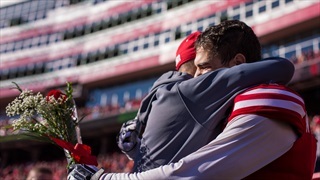 On Friday, senior defensive tackle Peyton Newell announced he has been named the 2018 recipient of the Sam Foltz Memorial Scholarship. 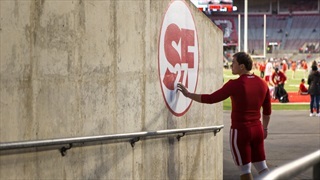 One of the last things all future Huskers will see before taking the Memorial Stadium turf is a tribute to punter Sam Foltz. Baltimore Ravens head coach John Harbaugh took a moment on Saturday to honor the lives of Sam Foltz and Mike Sadler. Chase Rice on Sam Foltz: "He was an awesome guy." 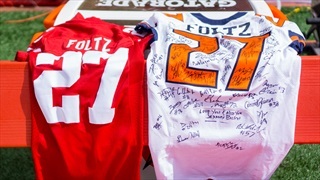 A famous face made an appearance at Nebraska’s Wednesday practice when country singer-songwriter Chase Rice arrived with the jersey he plans to auction off in honor of Sam Foltz. The Nebraska football team honored and recognized its 2016 team award winners at its season banquet at the Cornhusker Marriott in Lincoln on Sunday. Two NFL punters—New Orleans' Thomas Morstead and Oakland's Marquette King—honored Nebraska's Sam Foltz and Michigan State's Mike Sadler for the NFL's My Cause My Cleats. 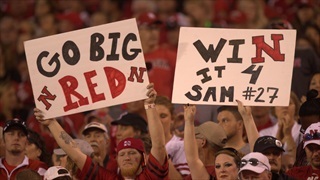 Since Saturday, Sept. 3 when Nebraska kicked off its regualrd season against Fresno State, several opponents went above and beyond to honor punter Sam Foltz. 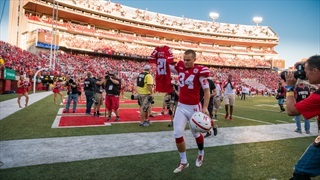 The Huskers' punter was a big part of the pregame lead up to Maryland-Nebraska. 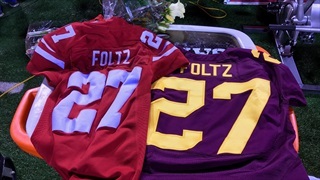 The Minnesota Gophers honored Sam Foltz Saturday night with a custom jersey and flowers. 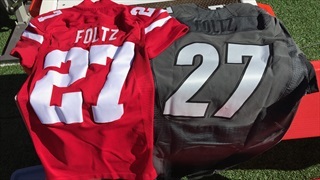 The Ohio State Buckeyes have gone above and beyond to honor the late Sam Foltz before and during Saturday's matchup with the Huskers. Grab your tissues. You'll need them after watching College GameDay's feature on LSU kicker Colby Delahoussaye. 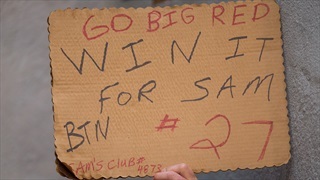 According to an ESPN report, the Buckeyes have a few tributes planned for Saturday's game. 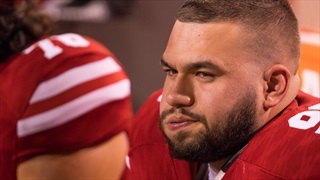 Wisconsin kicker Rafael Gaglianone joined the Nebraska football team in honoring Sam Foltz during Saturday's pre-game warmups. 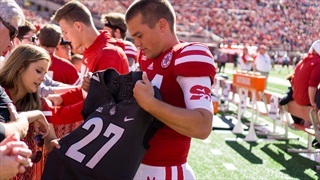 The Boilermakers present Nebraska's specialist with a custom Sam Foltz jersey before the game. 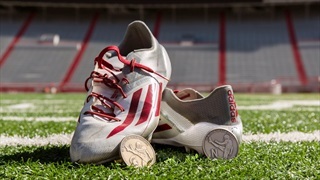 The Big Ten Conference announced Wednesday that it will honor the memory of Nebraska punter Sam Foltz and Michigan State punter Mike Sadler with a special commemorative coin. 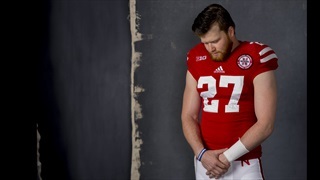 The Northwestern Wildcats announced on Monday that the team will wear helmet stickers Saturday to honor Nebraska punter Sam Foltz. 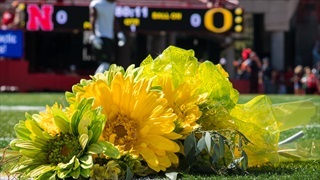 Before kickoff on Saturday, the Oregon Ducks placed a bouquet on Nebraska’s 27-yard line in memory of Husker punter Sam Foltz.